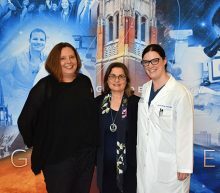 The University of Florida College of Dentistry hosted its second annual Spotlight on Dental Education reception Tuesday, April 10, at the UF Biomedical Sciences Building on the UF Academic Health Center campus. 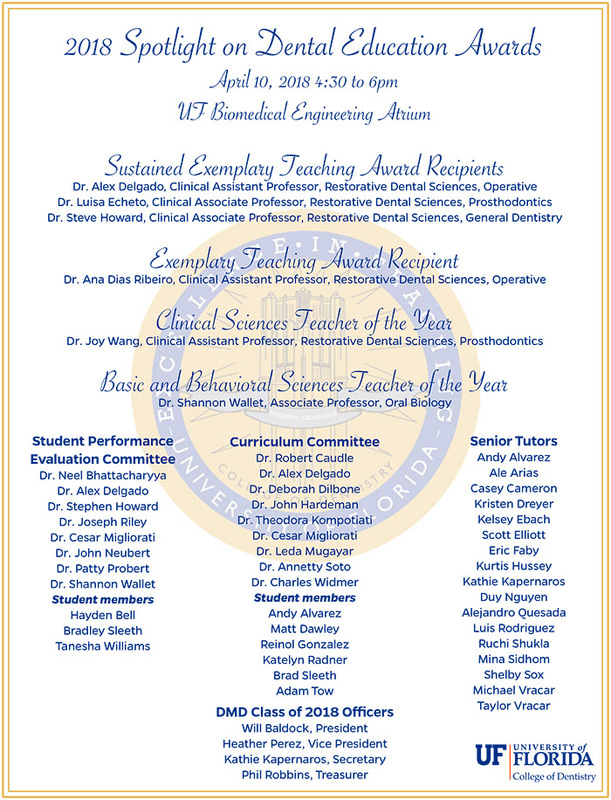 Spotlight on Dental Education recognizes the many people who contribute to making the University of Florida College of Dentistry educational programs great – from faculty to students to teaching assistants and a number of committees that keep the educational wheels turning in the college. 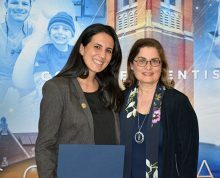 Awards and certificates were presented during the reception. 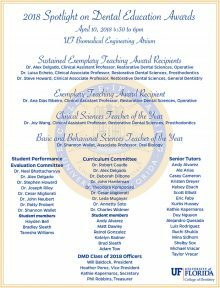 In addition to the traditional clinical and basic sciences Teacher of the Year Awards, all tutors and teaching assistants from the Class of 2018 were recognized, as well as members of two committees: the Student Performance Evaluation Committee and the Curriculum Committee. 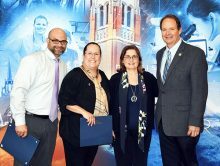 The college awarded four exemplary teaching awards; one Excellence in Teaching honor and three Sustained Excellence in Teaching awards. To see all our photos from the event, visit the photo album on the college’s Facebook page. 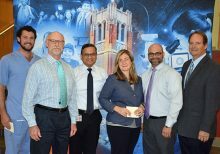 Alex J. Delgado, D.D.S., M.S. Ana Dias Ribeiro, D.D.S., M.S., Ph.D.
Clinical Sciences: Joy Wang, D.D.S., M.S. Basic and Behavioral Sciences: Shannon Wallet, Ph.D. While the faculty members are at the forefront of educating dental students and residents, peer learning, including tutors and teaching assistants, are critical in supplementing the formal curriculum through the peer tutoring program at the college. Listed below are our senior DMD students who participated as tutors. Neel Bhattacharyya, B.D.S, D.D.S., M.S. Cesar Migliorati, B.D.S., M.S., Ph.D. The class officers play an important role in leading their class and also acting as liaisons between administration and their class. 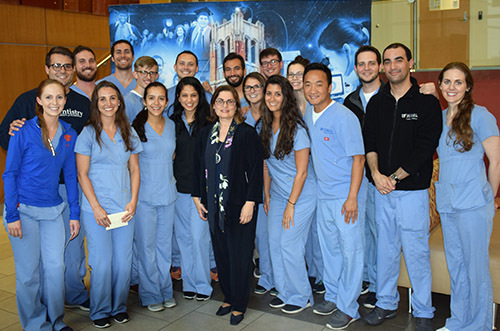 The college is grateful for the time these students spend as leaders while also juggling the demands of dental school.